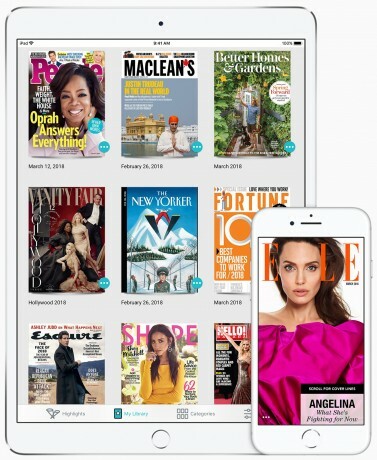 Apple today said it has agreed to acquire Texture, a digital magazine subscription service, for an undisclosed sum. According to Apple, Texture powers the digital experience of some 200 magazines on mobile devices. "We're excited Texture will join Apple, along with an impressive catalog of magazines from many of the world’s leading publishers," said Eddy Cue, Apple’s senior vice president of Internet Software and Services. "We are committed to quality journalism from trusted sources and allowing magazines to keep producing beautifully designed and engaging stories for users." Apple didn't say where Texture will fit into its business, though it is likely to supplement Apple's existing News app and/or book/magazine offerings. Motorola Solutions today said it has agreed to acquire Kodiak Networks for an undisclosed sum. Motorola Solutions is the not the Lenovo-owned company behind Motorola smartphones; rather, Motorola Solutions is a separate corporation that handles first-responder and push-to-talk hardware, and wireless networking equipment. Sprint is on the verge of offering a new version of its push-to-talk service, according to the company's web site. Direct Connect Plus, when it becomes available, will allow "a wide selection of feature phones, smartphones, and tablets" to make PTT calls via 3G, 4G LTE, and WiFi. AT&T today said it has agreed to buy AppNexus for an undisclosed sum. AppNexus runs a global advertising marketplace and helps publishers, marketers, and agencies place digital ads. Apple today announced that it has acquired Shazam, the song-identifying service, for an undisclosed sum. The deal was first revealed last week in a report from TechCrunch.